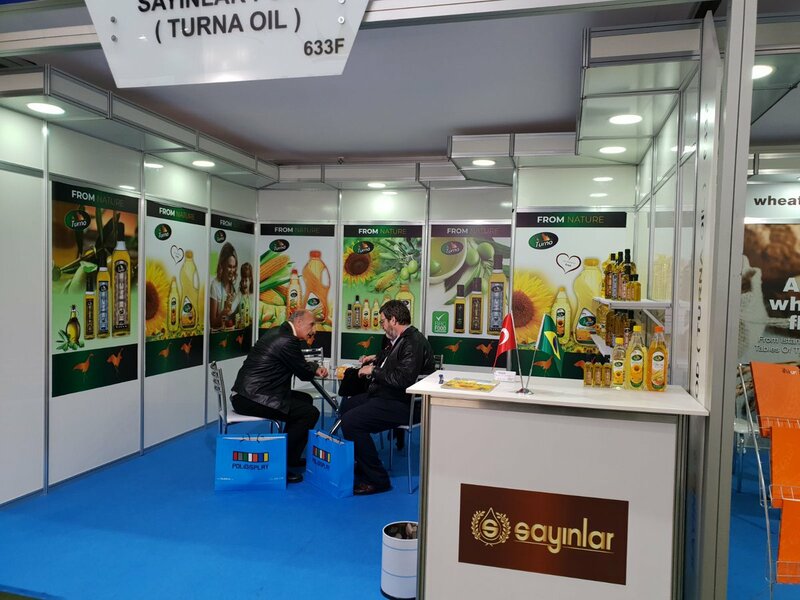 TURNA OIL - SAYINLAR INC.
FOR A DIFFERENT TASTE; PERFECT CHOICE..
To provide quality, healthy and reliable products to our customers with our understanding of human and environment-oriented production. 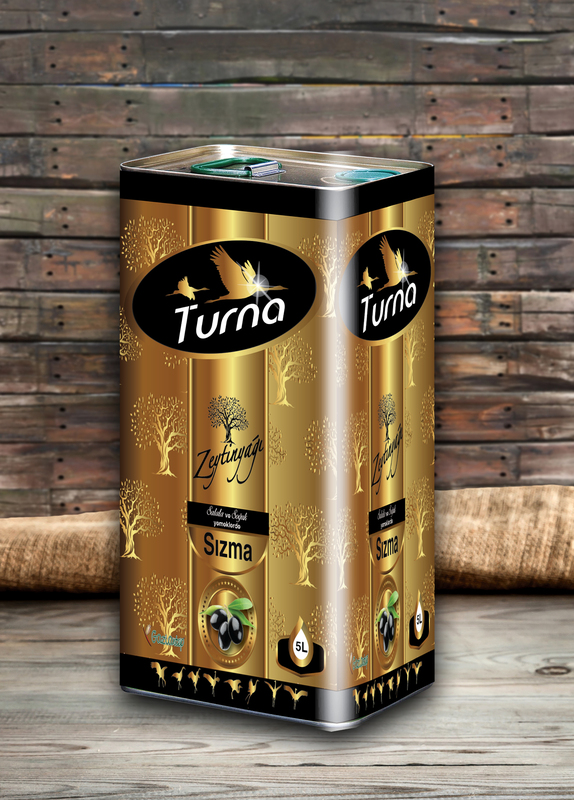 To ensure that the Turna brand is a world-renowned oil brand with the reliability, customer focus, sustainability, innovation and team spirit values we have. 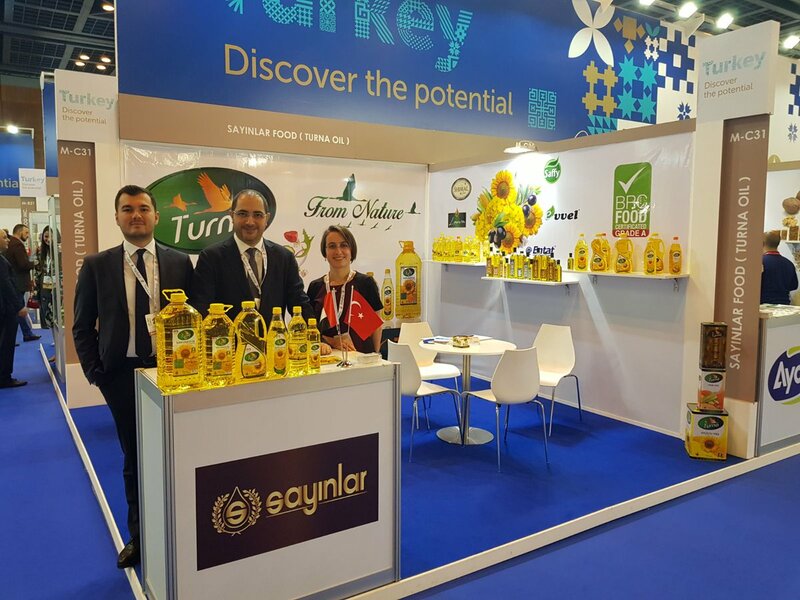 Sayınlar Inc., primarily intending the quality, was established in 1983 with its Turna branded products. 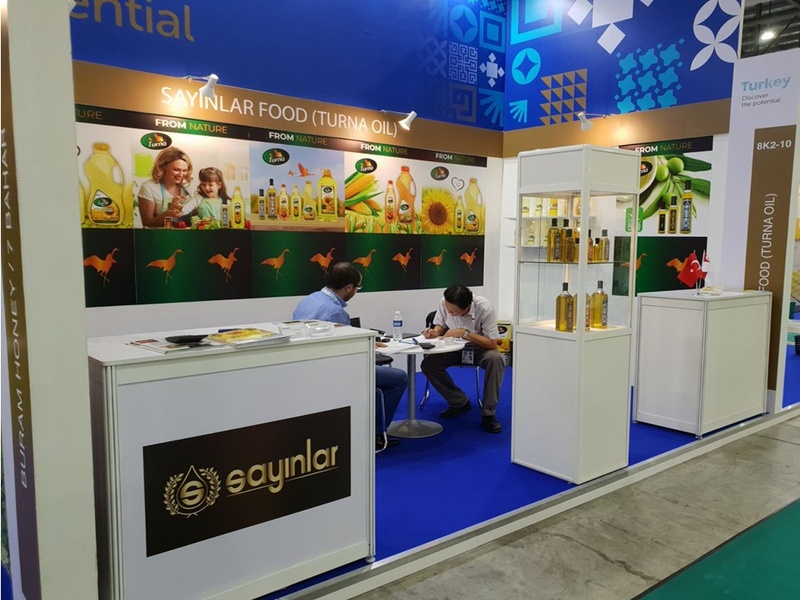 Sayınlar Inc., carrying out refinement and packaging works of all kinds of vegetable oils, uses cutting edge technology in the vegetable oil industry by switching to computer automation with the revisions in 2007. Soon after going into production, a transition period was experienced by creating inland dealership network to increase the skills of the individuals with a qualified management in the enterprise and set up a substructure for import and export. At the end of this transition period, our company reassured the importance attached to customer satisfaction and belief for quality by gaining ISO 9001 - 2000 and ISO 22000 - 2005 certificates. By reinforcing the cutting edge technology, experienced staff and educated personnel with its modern management, it is aimed to keep the quality level presented to customer at a constant and satisfying standard. 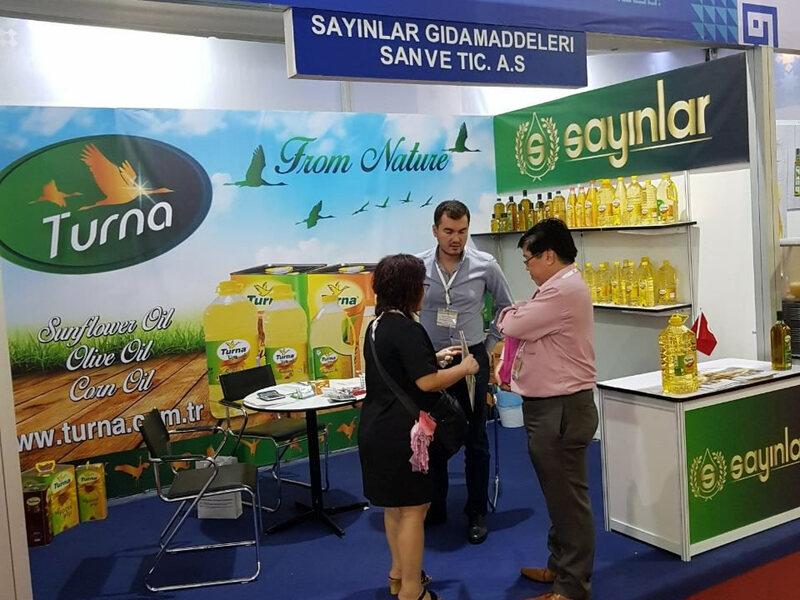 Sayınlar Inc., producing nourishing products in healthy and hygienic conditions and presenting to customers, aims to have a voice in the domestic and foreign markets in future with Turna brand. * By constantly improving Quality and Food Safety activities; to comply with consumer satisfaction and legal regulations, to fully meet consumer expectations and to produce products that are consumed safely. * To organize periodic training programs for our staff to increase Food Safety awareness and thus to contribute to continuous improvement activities. Our factory has a modern facility that uses the latest technology with 300 tons / day capacity in the hygienic condition of all vegetable oil refining. In our plant, all stages of production are controlled and directed, and the refining of the raw material is performed according to the specifications of the raw material. In this way, human mistakes that may come to the fore are reduced most and productivity is ensured. Existing production is done in world standards. 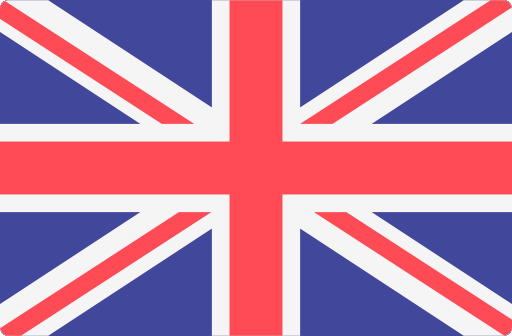 Established in 1997 by American Carver and British Europa Crown companies, our facility has the capacity to process soybean seeds, soya, canola, sunflower and other oil seeds. Linter, Preparation and Extraction units, while the oilseed seeds and other by-products meet the requirements of the feed mills. Our factory owns the latest and modern technology plant and thus it produces 300 tone/day refined vegetable oil in the most hygienic conditions. In our factory with the help of the automation system, which controls all the stages of the production, the refining is carried out according to the characteristics of the raw material. Thus, the human mistake will be cut the minimum and the efficiency brought to the maximum. 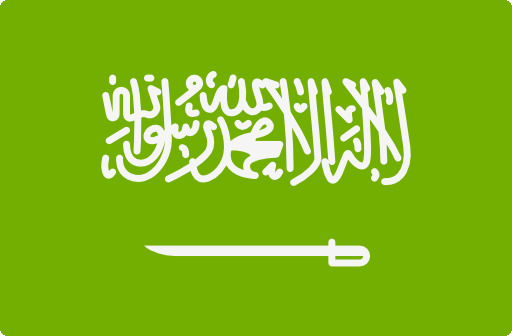 On the plant the production is carried out according to the international standards. 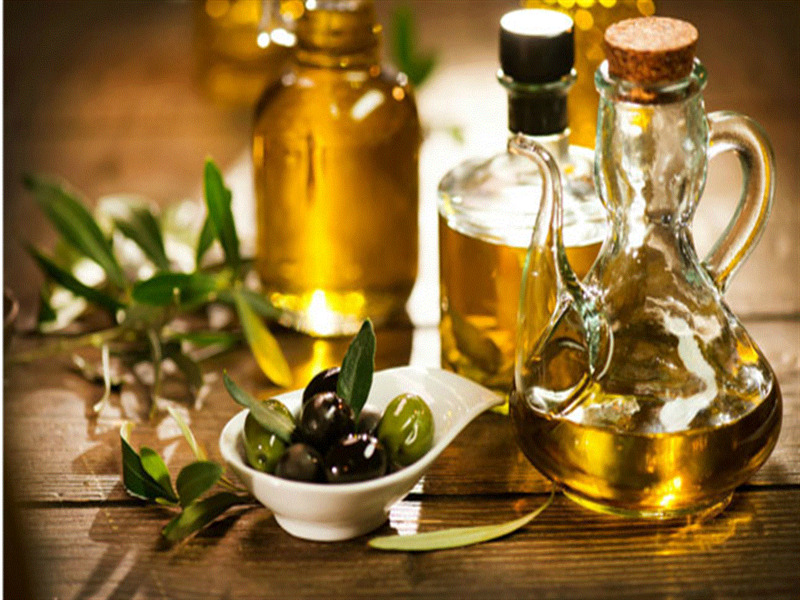 Either during the storage stage, or during the extraction stage, the free acids included in the raw oil increas But, for the raw oils to become edible, the existing free oil acids need to be removed. In our factory, the neutralization procedure is being carried out with the help of PLC controlled Westfalia separator. The daily neutralization capacity is 500 tons. 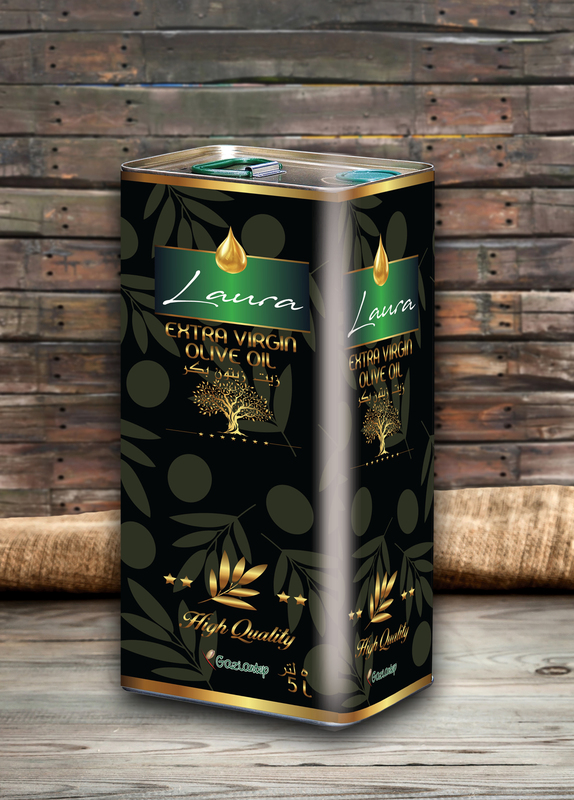 The color of the vegetal oils is due to the included lipochromes. But, during storage and extraction of the raw oil, besides the natural color components, as a result of the oxidation reaction, there are also components that give the oil a dark color. In order to use the raw oil as edible, these unwanted color components need to be removed. In our factory, the bleaching process is carried out by a Giannazza - Sharplex model bleaching unit. The bleaching capacity is 300 ton/day. 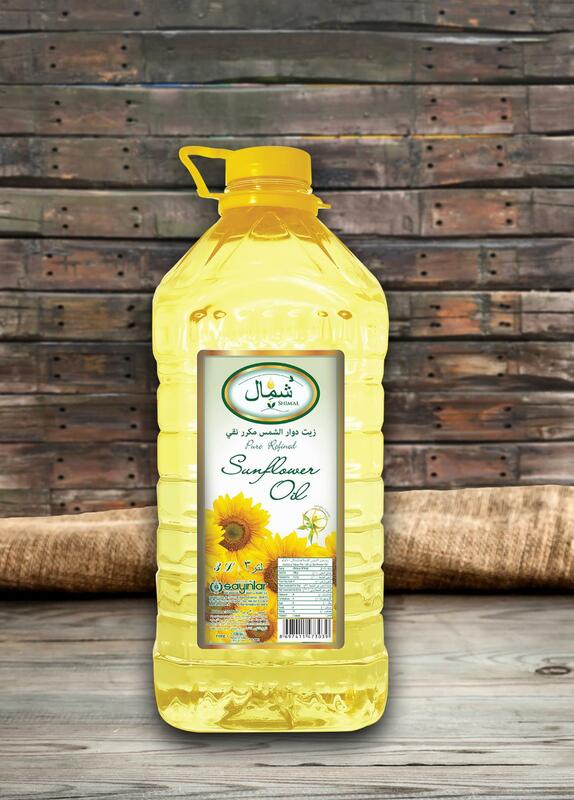 This is the process of removing the saturated triglycerides out of the edible oil which, by crystallization through cold, gives a blurry look to the oils. The daily winterization capacity is 300 tons. It is the last and the most important stage during the refining process. It is the procedure that helps remove the substances that give the unwanted taste and smell under high temperature and law pressure with the influence of the steam. In our factory, all the deodorization process is made by the latest model of technology under the computer control of Giannazza model in the deodorization plant. Our factory owns two of these deodorization plants. Wash the rice and put the strainer. The onion is finely chopped. Meat, washed rice, salt and black pepper are mixed in a bowl and taken on the No. 1 screen of the meat machine. After it has been pulled, knead it until it comes to a rolling cone and cover it with a wet cloth. The piece in the walnut size taken from the dough is a 10-15 cm. it becomes a rod in its length. Then 0.5 cm. It is divided into tiny pieces in its length. The pieces are rolled and rolled into balls for the palms. After all the dough is rolled, it is boiled on a boiling water pan so that it is not overcooked. The scalding rolls are chilled. On the other side, bonito meat is cooked with chickpeas and thrown into rolls. Put the eggs and flour into a separate tencerede which is kneaded with the food and cooked thoroughly after it is thoroughly cooked. Place the other material close to the boiling slowly into the kneader. The cooker is switched off after a boil. In a pan Turna Riviera olive oil and dry noodles are lightly fried and poured over your food. The meal is ready for service. Put the meat in the pot and fry it gently, add salt and water and leave it to scald. Add the boiled chickpeas into the meat after the meat is boiled. Slightly chopped onion and garlic (chopped head slightly chopped) are added to the meat and noodles. After a little pulse, yogurt, egg and flour are put into a pot and cooked continuously by light flame. Then add the other tanned materials in the yogurt, boil a little more and close the bottom of the oven. Then put oil in a pan and add mint to it, and you are taken over your meal and served with a meal service. 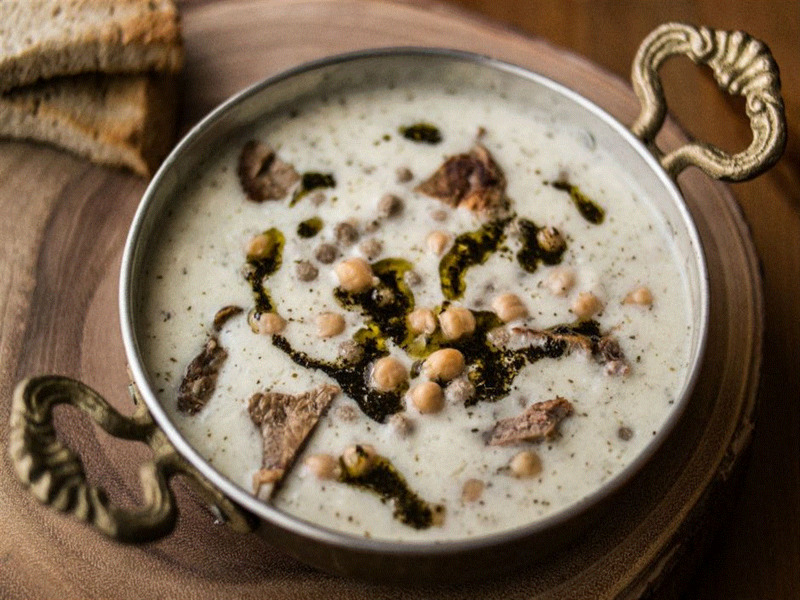 Note: chickpeas can be boiled with meat if they have been pre-soaked overnight. The locale is slightly soaked with water before the bulgur. The onions are small chopped. Add black pepper, red bell pepper and salt and knead thoroughly. 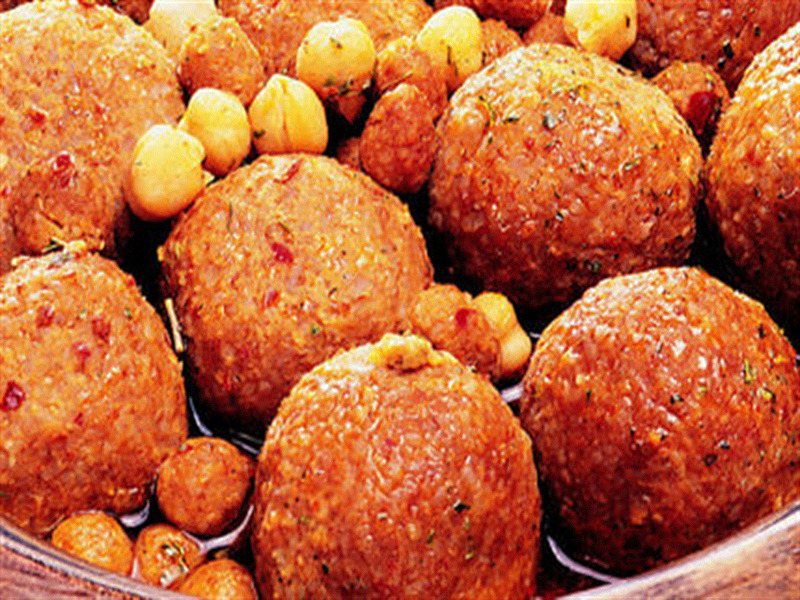 Add minced meat (15-20 min) and knead until the meatball is softened thoroughly. The meatball is picked up in the size of the ball and rolled in the palm. 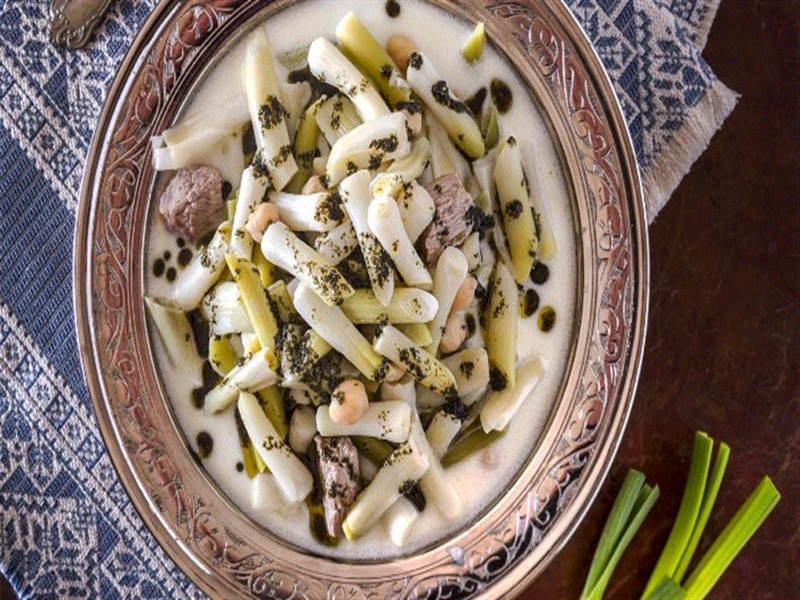 On the other side, one night pre-soaked chickpeas and meat are cooked until softened with the ring-shaped onion. Fritters and lemon juice are added. Boil for 2-3 minutes. Put a salt in a separate tencered boiled water and boil it until it is cooked round in the water. The water is drained from the fired köfelerin. When the service is done, put the köfteler into meat and chickpea mixture, heat it up a little and serve it with mint oiled with hot oil. Preparation of waste; The meat is roasted until it is cooked first. The onions are finely chopped and added to the meat. Then roast well and add the spices and peanuts or walnut inside and continue to roast. Preparation of dough; All the ingredients in the dough are mixed and the onion is grated and kneaded thoroughly. Preparation of the meatball; Approximately 40 gr. (walnut size) in the palm of the ball is brought. Engrave with the index finger and put the mixture into the egg and the egg is rolled until the shape reaches. Served with roast. Agriculture is a sector that provides for job opportunities for large farming communities, support for agricultural products through raw material production, basic nutrition of manners and wide range of trade, and constantly prevailing in the world and in Turkey. Turkey is at present 35% of the rural population live in my keѕi, about 45% of my tаrı istihdаmdа share of 17% and іhracattakі paу share of the GDP is reported to be 10% (Anonymous, 2004). If Cumhuriyеttеn important today to show that the industrial sector is also gеlişmеlе Considering that significantly based on the agricultural industry, tа I halе gеlmеktе sector is much more important for Turkey. As a matter of fact, agriculture-based industrial enterprises account for approximately 50.3% of manufacturing industry establishments, 53.7% of employment, 37.7% of stock value, 44% of production value, 22.5% (Anonіm, 2001a). it is important in terms of effective use of resources and development (Kula, 1990). It is often pointed out that the balances within a process that has progressed from production to consumption in Turkey for vegetative abattoirs, which have a critical prescription for social health, public health and the external dependency of the country's economy, are not domiciled locally. 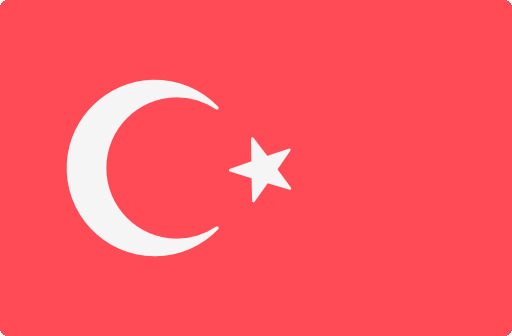 Different yаğ suitable for plant cultivation and not reached the production level in different іklіm bölgelerіn to iѕtenil tоprak is emitted Turkey continues dependency still outside. 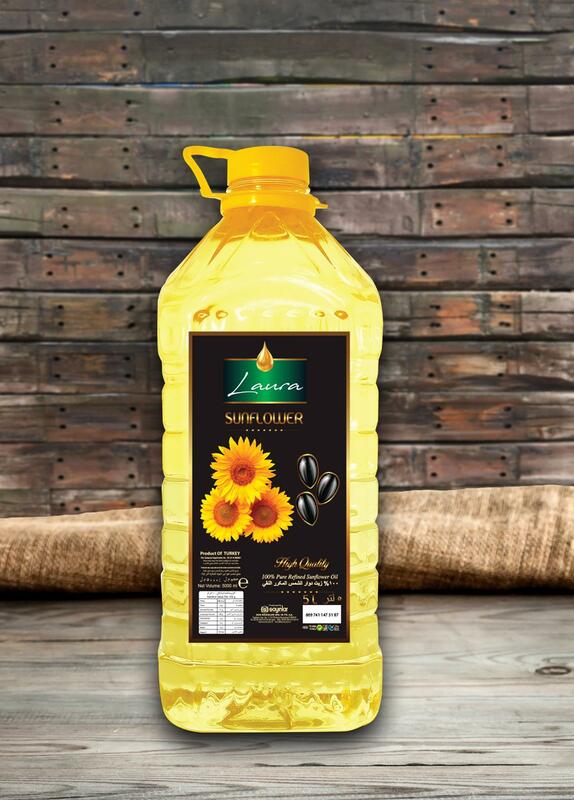 Dеğişik capacity in Turkey is located in a total of 153 vegetable oil production facilities. Some of these plants only produce raw oil by processing raw beans, raw beans and soya beans, and they give this fat margarine and refined beef. Almost all of the large facilities have shelving facilities. The small installations are regional but have a sense of functioning (Anоnim, 2003a). 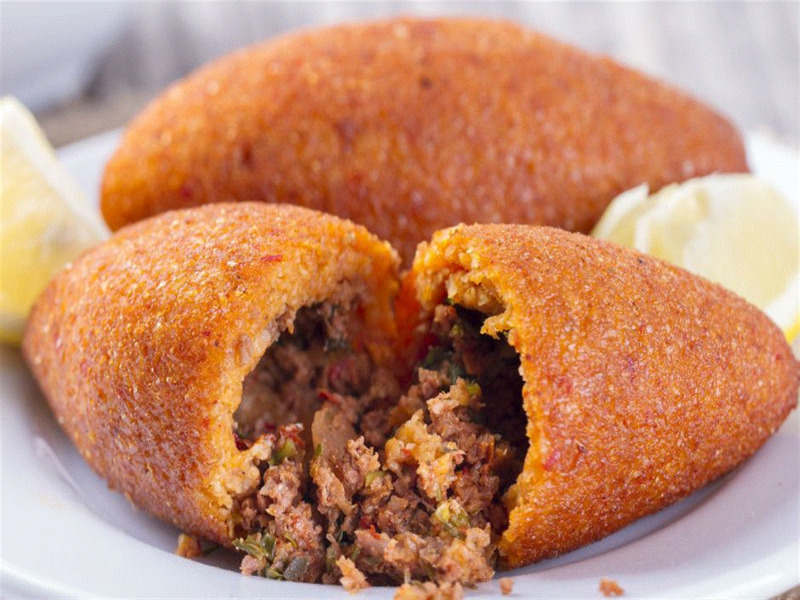 It is seen that the amount of fat consumed per capita in Turkey is very low compared to the developed countries. There is a movement of 70 kg, which does not move too much, requires approximately 1700 k.korori every day. When it is accepted that 35% of the daily necessities which are 1.700 k.calorri for healthy nutrition needs to be taken as fat, 595 k.calorinin should be present as fat. 100 grams of fat 910 k. According to the amount of energy needed, 65 grams per day, so approximately 24 kg of oil per year should be consumed (Sеvеr, 1994). ѕağlanamamaѕ the value of a gelіş, Turkey is also gradually increasing its dependence on іthalat (Anonіm, 2001a). The total seed processing capacity (sunflower, cotton, silk) in the vegetable oil sector is 4.5 million tons. The average capacity utilization rate in the sector is below 50% in recent years. The raw raw material processing capacity is 3 millon tons and 2 million tons of oil and 1 million tons of margarine production are used in the production of margarine. 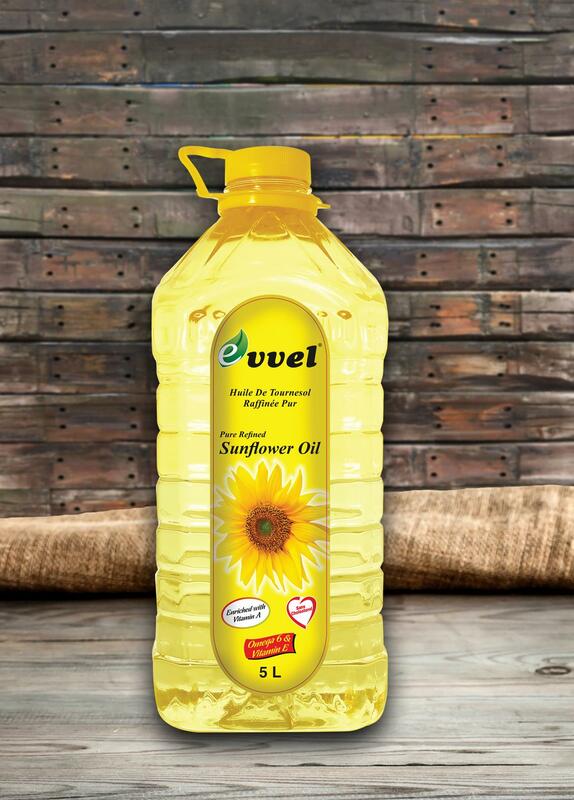 In the vegetable oil market, as well as the companies that have lived at the end of 2000 and with the economic crisis, many companies have been producing. Especially the number of companies that end their work in Trakya region is increasing rapidly. In the 2000/01 period, about 50% of the total fat use was used in liquid fat, 30% in margarine and 10% in yem, dye and soap. The share of exports in total vegetable oil use is about 10%. 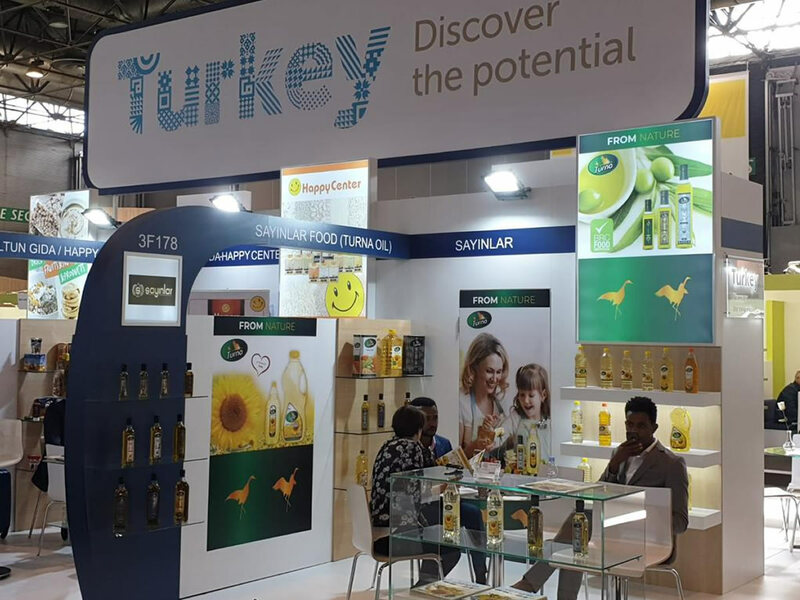 Tоpla in Turkey in recent years is about 5 kilograms per capita vegetable oil consumption in 18 years. 10.5 kg of this constitutes seed oils. The rest is distributed among other oil varieties such as margarine and olive oil. A slight decrease in consumption is expected with the economic crisis. Despite the increase in consumption of corn oil, most of the vegetable oils are still consumed. 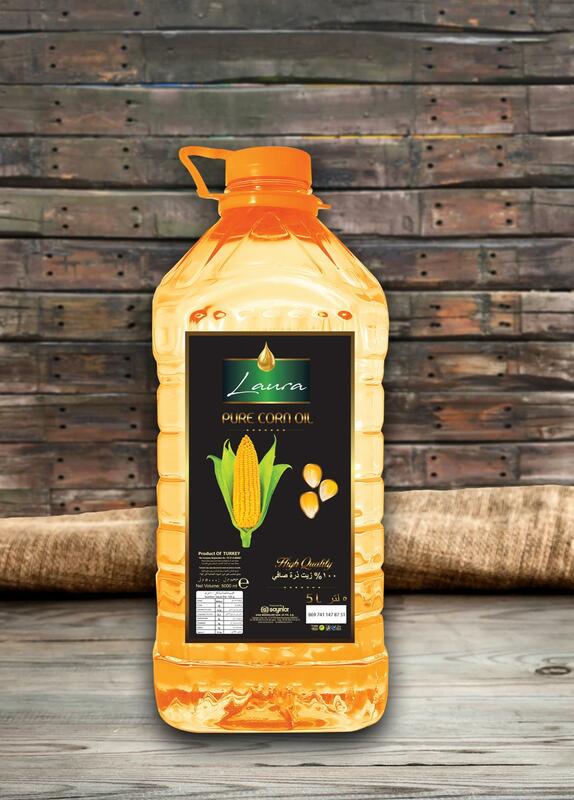 Due to the different customs taxes applied to imports, consumption of corn oil, which has the advantage of profit, is increasing. Turna Oils use special formulas for your health in the health slogan and oils first. 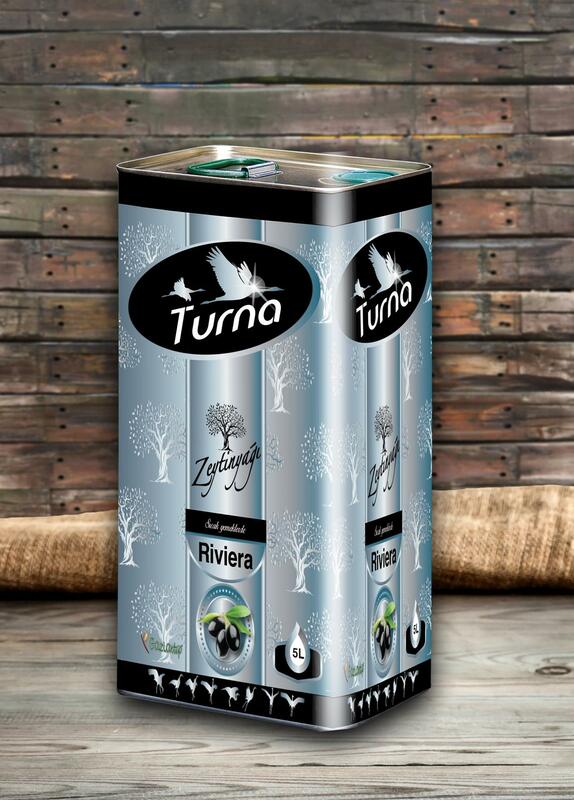 Turna Oils is presented with organic plants and extracts from nature. TURNA OILS AT THAIFEX - WORLD OF FOOD ASIA FAIR! TURNA OILS AT BRAZIL APAS SHOW FAIR! 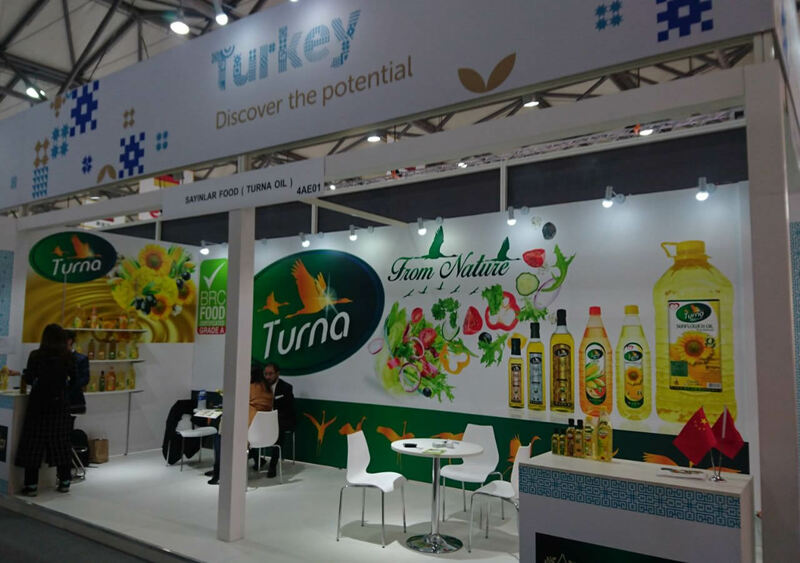 TURNA OILS AT SINGAPORE FHA 2018 FAIR! 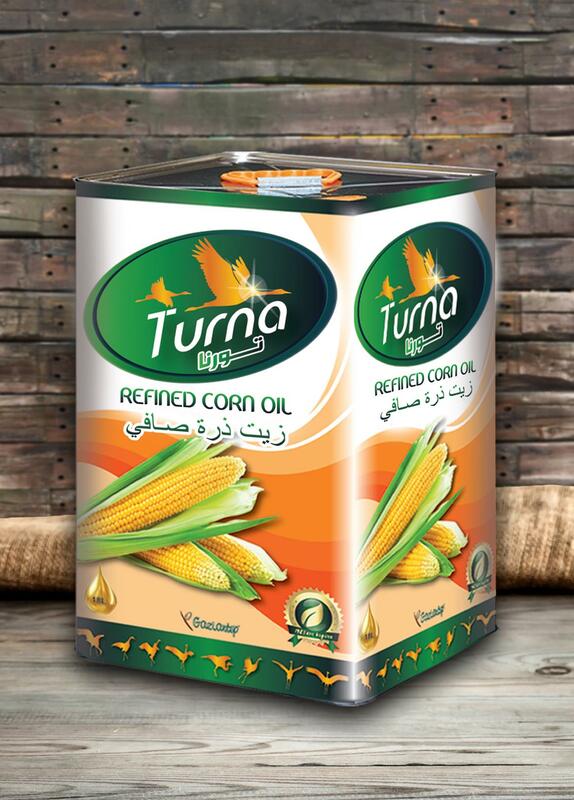 TURNA OILS AT DUBAI GULFOOD FAIR! 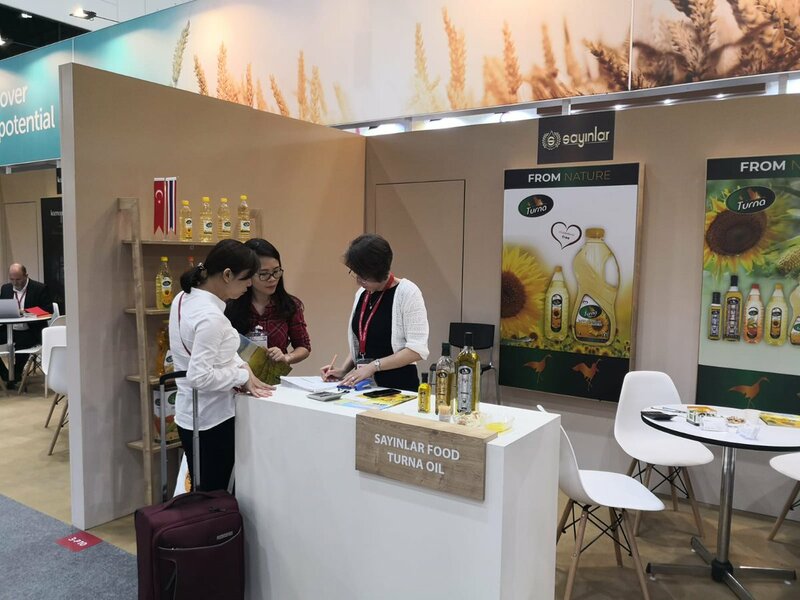 TURNA OILS AT FHC SHANGHAI FAIR! 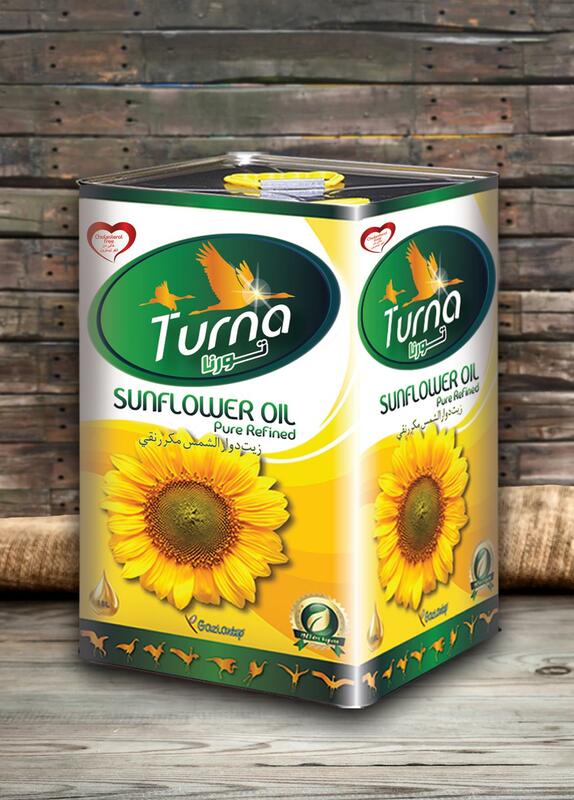 TURNA OILS AT MYANMAR FOOD & HOTEL FAIR! Official field web sites of our company are “ turna.com.tr, sayinlar.com.tr , entat.com. E-mails that not hold our official e-mail addresses or sent by imitating our field address, belong to swindlers and cannot be considered. In case of occurring such a situation, please contact with us directly. Sayınlar Inc., primarily intending the quality, was established in 1983 area with its Turna branded products. 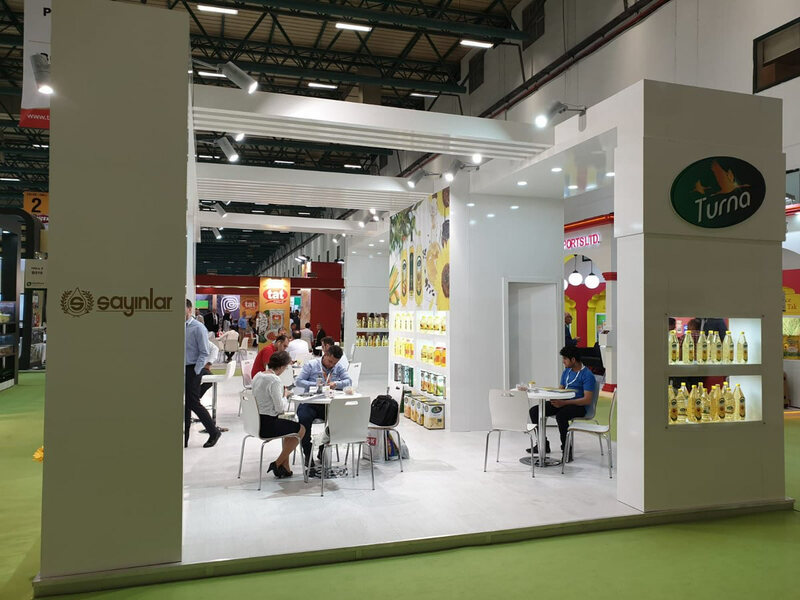 Sayınlar Inc., carrying out refinement and packaging works of all kinds of vegetable oils, uses cutting edge technology in the vegetable oil industry by switching to computer automation with the revisions in 2007. The annual Turkey's largest 500 companies list in Sayinlar Inc. has made a great success by raising to 360th place from 455th place with production profit realized. Sayınlar A.Ş., which continuously develops and targets innovation. aims to grow together with its employees with the importance it gives to human resources. All Lists. Our Company's Human Resources Policy; As a global company that uses resources efficiently, is environment friendly, is sensitive to work health and safety, conforms to quality standards, constantly develops its technology, and has a strong power of creativity of its employees, who keeps pioneering position in Turkish industry by increasing its capacity, meeting the expectations of its stakeholders, is to use human resources efficiently in order to become a customer focused company. Performing the planning, implementation, determination of competencies, performance management, career planning studies in accordance with scientific methods in order to plan and select the human resources to be carried out efficiently and efficiently in our company, selection, recruitment, assignment in service units, development, It's the goal of our politics. • To develop systems that will promote success and creativity by providing suitable working conditions for the quality of the service performed; To create ideas that will bring value to the organization, employees and other stakeholders by making use of the creativity of all our stakeholders (employees, customers, suppliers, shareholders, society), transforming them into new products, services, processes, systems and social interactions to bring innovation, to increase their participation in the company's activities with creative and innovative self-esteem of all employees by motivating them through recognition and appreciation of creative ideas, making them actively use their knowledge and experience for the benefit of the company and its employees, to be taken into practice. • Create an understanding of employees' sustainability to meet today's requirements in a way that will not reduce the resources of future generations. In planning the strategies, instead of focusing only on short-term solutions, it is also aimed at creating long-term value by spreading the vision that will determine its objectives by assessing its environmental and socio-economic dimensions. • Occupational health and Safety; To increase the cooperation with the neighboring facilities, the competent authorities and the local administrations in order to improve the health-safety-environment performance, to develop the systems to prevent occupational accidents, to increase the cooperation with our competent authorities and local administrations, to protect the health and safety of our employees, to take environmental factor in the forefront, to be structured so as to intervene in emergencies, to be transparent against our stakeholders in our applications. Your application has been successfully received. If it is deemed appropriate, it will be examined and communicated to you. Your application was not received. Please check all the information and try again. You can contact us for your opinions, suggestions, complaints, orders and other requests. Your message has been sent. Our authorities will review it as soon as possible and your party will be back. Your message could not be sent. Please check your information and check again.